I can't believe I've been two weeks away from you readers! Two weeks have gone by so quickly, with my dissertation and all, that I barely had the time to even think about eating! Let alone cooking! So, here I am today with an Indian recipe! You already know it, right? Bet many of you can relate to me, eh!? 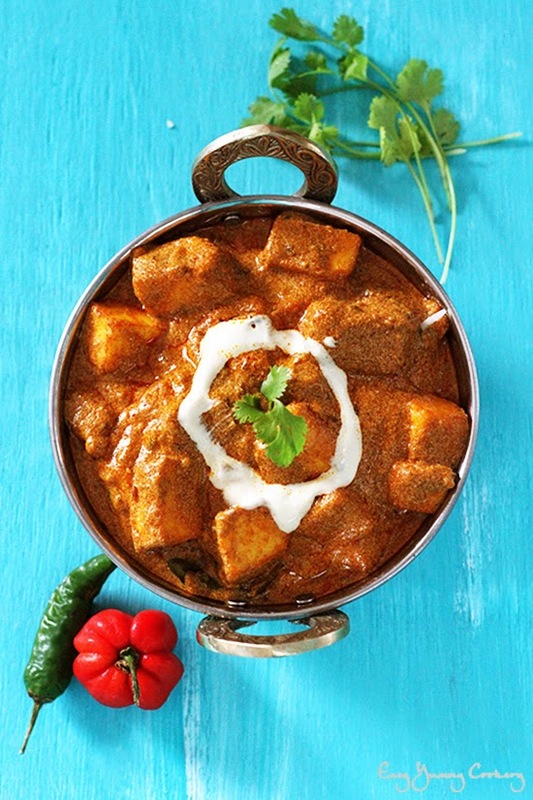 Shahi Paneer is an Indian classic - Shahi means Royal and Paneer is Cottage Cheese! The name says it all, it's a Royal Paneer Dish! The gravy is thick, smooth, spicy and creamy! Indeed rich enough that I always ask for more!! It is best eaten with naan, roti and chapati! But this dish is so flavoursome, that you can pair it with plain rice and still enjoy all the goodness! 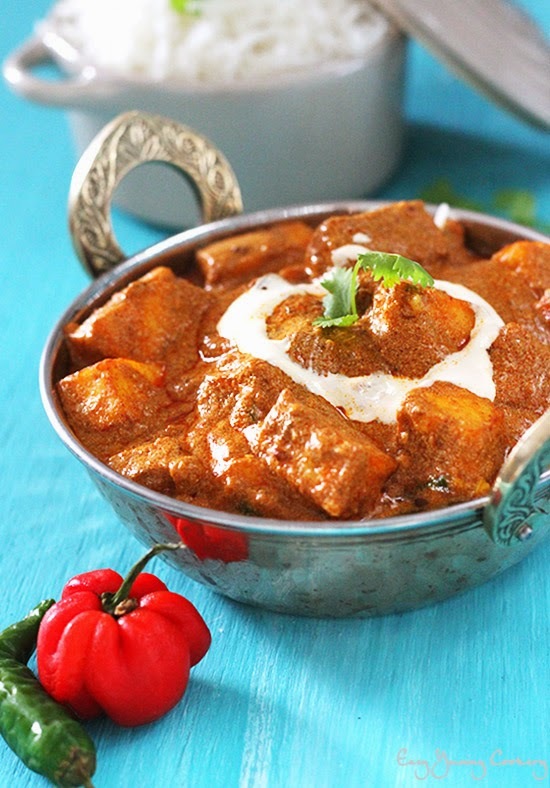 Shahi Paneer is an Exquisitely Rich, Creamy and Spicy gravy with Indian Cottage Cheese! Com'on be a King/Queen today! Place the cashew nuts with the 2 Tbsp of water, in a grinder and process until a smooth paste is obtained. Set aside. Toss in the oil and ghee in a pan set over medium heat. When the oil is hot, add in the cumin seeds and bay leaf. Let cook until cumin seeds are fragrant and sizzle. Add in the tomato purée, the garlic paste, ginger paste, green chilli and salt. Give it a quick mix and let cook until the tomato purée releases the oil. Now, add the coriander powder, asafoetida, paprika, turmeric powder and the cayenne pepper. Combine well and let cook for 1-2 minutes. At this point, throw in the cashew nut paste, the Nestlé Cream and the sugar. Stir to combine. Cook for a few minutes. Then add the water, allow the mixture to simmer for some 5 minutes until it slightly thickens. Finally toss in the garam masala, and the cubed paneer. Mix well to coat the paneer cubes evenly and let cook just 1 or 2 minutes. Sprinkle with the chopped cilantro and serve with warm rice or naan! Time to enjoy your Royal Treat! 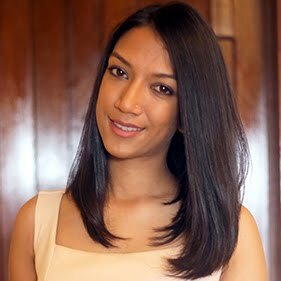 I've used ready-made paneer cubes, which were already fried, so if you are using homemade paneer, make sure you gently pan-fry them. I've tried making Shahi Paneer for like, a decade now (what a joke! ), no seriously, I've come to the conclusion that more than 10 cashew nuts, give the gravy a 'too-nutty' taste. So, 10 is just fine. You can use any cream, but I've gotten into the habit of using Nestlé Cream and it works wonders in my Indian dishes. Always add garam masala as the last ingredient in your gravies. You can add a a few drops, 2-3, of lemon juice in the gravy, when it's done cooking. It helps in better food digestion!! You can use tomatoes instead of the tomato purée, about 2 medium tomatoes. The sugar is there to complement for the acidity of the tomatoes, so feel free to adjust to your taste. Shahi paneer really looks very royal!! Looking so delicious and rich. 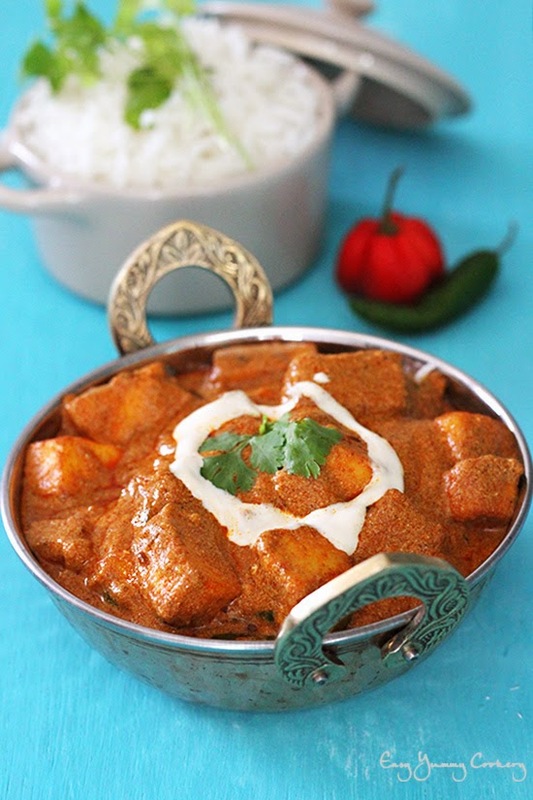 Your click killing me....... Mouthwatering shahi paneer!! I am just drooling at those pics... God!! Dissertation, no wonder you've been busy. Good luck!!! And the paneer looks and sounds delicious! panner dishes r every ones fav almost.it looks wonderful.